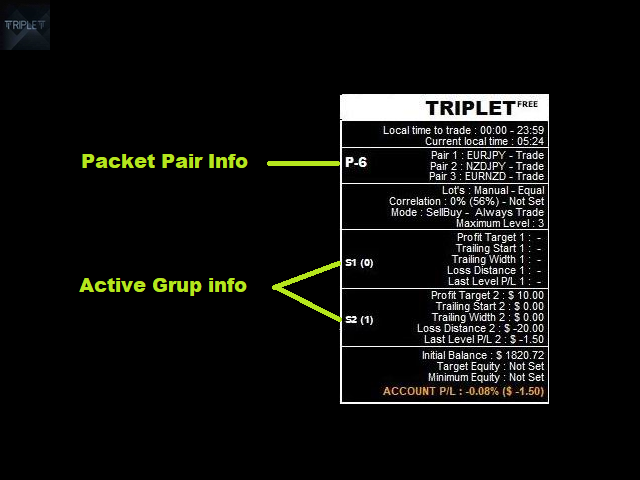 Triplet Free is an Expert Advisor based on positive hedging and triangular correlation strategy. 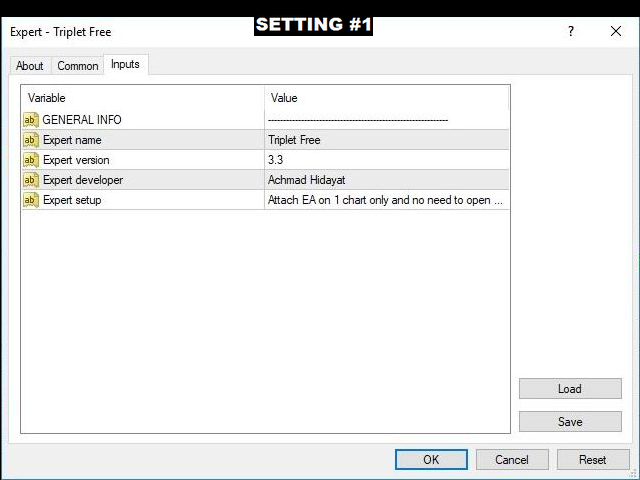 This is the free version of EA Triplet that has some limitations: only works on packet pairs EURJPY-NZDJPY, only uses fixed lots (0.01 or 0.1 depending on minimum lots allowed), other features that are available on paid version are not available on this free version. 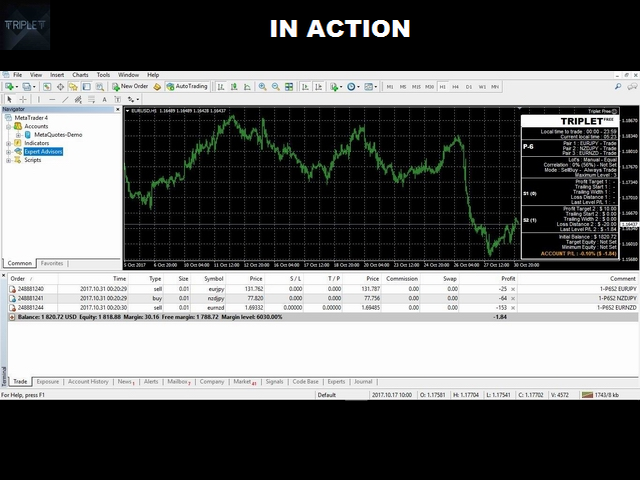 Since MetaTrader 4 strategy tester does not allow users to perform multicurrency tests, then you cannot perform backtest in the strategy tester. To test it on a live account, you can try this free version. If you want to use full features of it, you can rent or buy the paid version, Triplet. To use this EA, you should attach it on one chart only with any timeframe and no need to open the others. Expert name - expert's name. Expert version - EA version. Expert developer - developer name. Expert setup - explanation to attach this EA on a chart. You can compare that settings to Triplet Pro version if you plan to use it later. Steady wins, sometime it happens that over a couple of days no trades (max. positions are open). But afterwards brings again steady wins. Slow & steady wins the race. Please check comments also. Some issues with closing floating DD. - Added the button: "close all orders"
- Add alert "This expert is multicurrency and can't be tested on strategy tester"